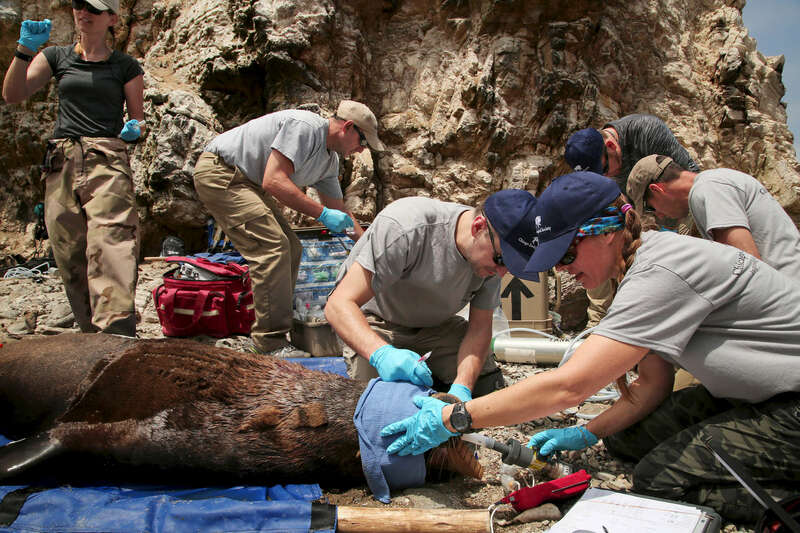 Dr. Adkesson and his team including MaryAnn Duda, a veterinary technician for the Brookfield Zoo, right, work to collect body samples and measurements on a tranquilized South American sea lion. A team of eight people work to collect blood, urine, fur, and blubber samples. They also check the animal's eyes, heart rate, and weight, as well as, measure and tag its' fins.